"I'm not interested in making a film for a niche audience. I want to make films about people who we don't usually see, but for a wider audience so they can all relate to it." 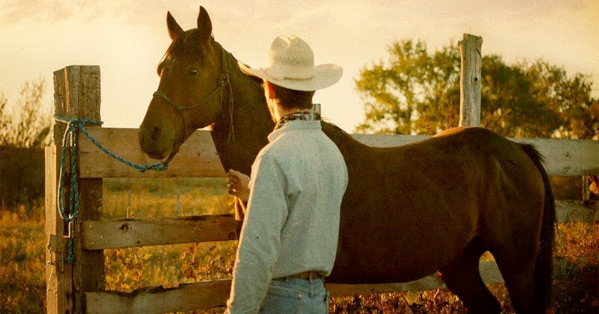 One of the best films I saw at a festival last year was The Rider, a film by Chloe Zhao, set in the heartland of America about a broken cowboy trying to maintain his identity. The film left me an emotional mess, in the best kind of way, and I wrote a glowing review after catching it at the London Film Festival. The person who made this is a Beijing-born filmmaker named Chloé Zhao, and she has many stories to tell - not only her own, about everyone she encounters. I was lucky to meet with her for an interview and to talk about The Rider, and the art of minimal filmmaking. The Rider (watch the trailer) is a fascinating film because it features real people playing themselves - Brady Jandreau stars as Brady Blackburn, and he's joined by his real father, Tim, and his real sister, Lilly. The story follows Brady after he's experienced a head injury, which happened in real life, as he tries to figure out what's next in life as a cowboy who loves the rodeo but knows how dangerous it is. The result is a profoundly moving, emotionally honest film that is hard to forget. I wrote in my review: "I'm so glad I caught this film. It's a gem. It's best to go into this film without any expectations, without any idea what you're about to see, and let it take you on a ride." The film has played at many major festivals, including Sundance this January. Did you expect any of this kind of reaction? This much of an enthusiastic response? Chloe Zhao: No. I'll just say “no” straight out. Not a chance. Because I made the film – I decided to make the film in like late July, August 2016. And I started shooting in September 2016. With five people. Me, six. Chloe: And the budget – that I can't tell you… So it was very much like, let's just do something. Because – Brady just got hurt. This is the time window we have before he's back to his self, physically as well, since he lost a lot of weight. And so we just did it. And we didn't even know if Lane – if we were going to be able to shoot at Lane's facility. That would take us eight hours to drive there. And we didn't even know if they're going to let us shoot or if it was communication, we just showed up. There's a lot of, like, taking a leap of faith in this film. So all of this is – we're kind of like okay, so what's next? It's just been a blessing and really encouraging how the audience, especially the audience, has responded to his story at a time like this. What's really fascinating to me about it is the docu-drama, half-real, half-performance mix. Did you have a script actually put together for this before going into production? Chloe: Yeah. People will watch this film, and they'll probably think, “oh they probably shot a lot of stuff as it happened." Never did. It's a very conventional technique to make a film. Because I learned the mistake to do it that way from my first film. We ended up with 100 hours of footage, but not enough story. Chloe: Well, it turned out that film is about a place, more so, about the reservation. But this I know is going to be about Brady. And also another thing is – I wasn't moved by Brady's story of recovery and then I wanted to make a film. I met Brady a year and a half before he even got hurt. So I knew immediately that this is someone that can be an actor. It wasn't a documentary approach, where you find this interesting story and you have to shoot with that person. I thought he could be a movie star. And then I saw him with horses and his face on camera, and I like the stuff that comes out of his mouth, the things he says. One of the very first things he said to me was – I asked him what the bone is where the horse – that's his neck and there's a little a tip. He said, “that's something that God put in a horse to hold the saddle." When he said that, I'm like well, I can't write that line. I know there's all that in him, right? So I know that I want to make a film with him. I started to write all these stories he can act in. Which were partially inspired by something he can do in real life, horses and stuff. None of those stories were very good. Until he got hurt a year and a half later. And then I talked to him about it, and he started to describe his recovery process. So I thought, oh, that could be — The Wrestler's a very good movie, I think. And it triggered something where, that's the arc. That's very universal: once you lose your identity of what you do and what you love, what are you? And obviously I don't want that ending [from The Wrestler]. I don't want to glorify a hero's death. Because that's also a heroic act. And life isn't like that, because I've seen it in Lane and seen in it Brady – it just keeps going. Very un-heroic. Well, it's heroic, but it's not glamorous. Chloe: And I want to convey that message because I've met so many young people who either had a ranch accident or the rodeo, who still live very strong lives. And then I think, oh, we have a solid story. And I wrote a script of 65 pages. So some things with Lilly, for example, I wouldn't go into dialogue. But the movie in the end is very much that [script]. I don't rehearse, but they get a script, they know the what their character is, and this is how Brady is in real life. 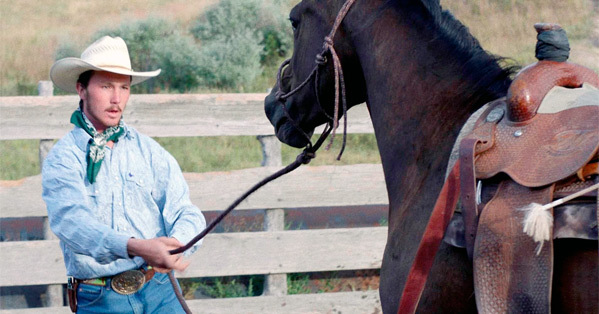 He trained the horses, he argues with his Dad, he's like that with his sister. But he's acting. That's something I - it's hard to tell people. If you meet Brady, he's very talkative. He articulates, he's talkative and he's funny. He's not that character. That's a fictionalized character. Why did you feel like you could tell this story best? What unique perspective did you think you could bring to this? Chloe: I don't know about "best"… I'm sure someone would say there's a much better movie about cowboys. Chloe: I'm not saying that I'm definitely doing that, but I'm just trying to say maybe it's all right if you're not from there or you weren't a cowboy. And sometimes if a cowboy were to write this story, it might be tougher for them to be vulnerable, to see their vulnerable side. I think maybe sometimes an outsider's perspective is not a bad thing. So then what kind of stories do you want to make? What kind of stories are you drawn to? Chloe: I'm looking at a couple of projects coming up. I'm trying to find… one is about an African-American Marshall in the 19th Century. Who has very important life story to tell, that is complex. And then one is a sci-fi. And the other two, I can't really talk about yet. But all of them, if I think about it, these are people who aren't what you expect to see in our traditional cinema, in our "cinema tradition". I think that's what I like – I like to find stories that haven't [been told], or people in situations who look a certain way or who have a certain experience that we haven't seen before. Or we've seen before but I want tell it differently. Like, this [one project I'm working on] is a historic Western about a guy who was born into slavery and escaped during the Civil War and was raised by Native Americans in Indian territory. He became a Marshall, one of the most important Marshalls in the whole west - arrested three thousand felons. So, we've seen that, but we didn't see that [story told from the perspective of] a Black man. We've seen that version of a White cowboy. But how do I tell that, regardless what race he is, but how do I tell that story in a different way than a traditional Western? How do I do that maybe a little bit more intimately or from a different perspective? Does this mean you also like to watch a bunch of unexpected films, too? Chloe: Well - Wong Kar-wai. Terrence Malick. Werner Herzog. There's a couple more… Ang Lee. More so, more or less visually, but more so by the type of stories he's drawn to. Well, you mentioned The Wrestler earlier, right? Chloe: Yeah, not so much. But I enjoyed The Wrestler. I really like the film. What did you think was going to be a challenge on this film and turned out to be easy? And what did you think was going to be easy and turned out to be a challenge? Chloe: I thought it was going to be hard to get Brady to act. To do such a vulnerable performance and to carry a movie. You're asking someone who's never… I was on my way to the first rodeo to shoot the first day of shooting. I said to my DP, "I hope he can act because we're doing this." I've never done any test scenes, nothing, you know. Just did improvise a little bit on camera to make sure he isn't going to look at the camera every five seconds. So that turned out to be much easier than I thought. I think the thing is – after my first film, everything is easier. But still, I thought it was going to be all right if we just have six people. It's tough to do [a film with that small of a crew], to make breakfast every morning, to do everything yourself. And burden crew members with like five people's jobs per person. It's hard. It's hard not to have money to buy anything. So we made a lot of compromises. It's hard for my DP to not have physical help. We're just grabbing stuff, running around. It's that kind of stuff. You think you can do it, but three weeks in, you're just emotionally exhausted. If you got the money to make something bigger with a 100 person crew is that what you want? Or do you feel like you can get more intimate shots with a smaller crew? Chloe: I like different things. I was raised on – we didn't have movies in China when I was growing up. We had anime, like Japanese. So I was raised on that stuff. And I always had a love for comic books and stuff. And I was raised on Hollywood movies, before art house movies. So everything is possible. But I wonder if there's a way to bring what I've learned making The Rider… You can't take the whole method, because every film has its own specific method. And really, as a director, this is your job. Hopefully, you have a producer that's good enough to listen to you or come up with these ideas. But to find that chemistry, that nature of what this project needs. And I wonder there's a little bit of that stuff we've learned from making The Rider — that authenticity, that sacrificing of some of maybe my own vision — to get something that's authentic between other people. I may not be able to do this little plot twist that I have in mind. [I want] to do that, to bring more of that into that bigger movie. So the bigger movie is maybe a different kind of bigger movie than the audience would otherwise expect. Chloe: Where can I find people who are willing to change their convention of making things? I feel like people like to shake things up a little bit these days. I think we're kind of at a turning point. Chloe: Lucky for me. Otherwise back to the drawing board again. Nah, I'm confident that whatever you do next will be interesting at least. Chloe: Thank you. It will be interesting. Anything else, I can't promise [laughs]. Did you actively try to find the emotion while filming? Or did that just come through with the performances? Chloe: I think I'm a dramatic director. I think I'm funny in real life, you know, people say I'm hilarious in real life. But I can't do that. I need more humor in my film, that's for sure. But I feel like that's something that I'm drawn to. Even with all these stories that are coming up. Sometimes I will see these emotional moments before I even come up with the story. I think when we get to that point, that's where all the differences: of skin color, of language, of culture, class. All these things go away – political, religious beliefs. It's when you get these deep, human emotions, because these emotions – like hatred, love, jealousy and hopeless – these things are the same. Because they're produced by the insides, our organs. So I think the power of drama, or any kind of filmmaking, is if you can get there. And then you can really tell a relatable story to a lot of people, which is important to me. I'm not interested in making a film for a niche audience. I want to make films about people who we don't usually see, but for a wider audience so they can all relate to it. So that might make me, as an outsider, tell it in a way maybe someone from the community might not like, but you're never going to satisfy everybody. And so then the greatest hope is that you can reach as many people as you can, but still make something that's authentic and it should reach them anyway. Chloe: I think so, because as you're saying, the core is the same. So if you can keep it authentic, and the human emotions are authentic, it's going to be identifiable despite all the other stuff that makes us think we're different. If someone wants to be a filmmaker, do you recommend they go to film school or not? Chloe: Ohhhh that's a tough one. I think it depends. I think… If you're really rich, do it. It's not a waste of time, though? Chloe: No, if you're rich, you can do whatever you want. But if you are going to go in debt, I say don't do it. But I have had friends who have a career… I know Cary Fukunaga had a debt. I remember he said it once — he's fine now. And Ryan Coogler — he's fine now. Yeah, and I couldn't… I didn't have the network, I didn't have the discipline to do anything myself, so I didn't know anybody that worked in the film industry. So I had to go to film school. Okay. Fair answer. Covers both sides. Chloe: My mentor's been incredible to me… But as an institution, it's a place that kind of created a lot of competitiveness that I find not so healthy as well. Anyway… Let's leave it at that. 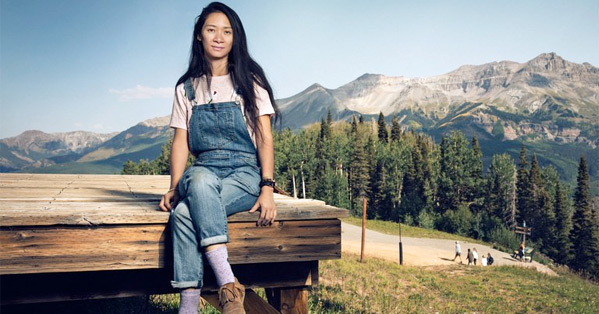 A big thank you to Chloe Zhao for her time, and to Hook Publicity for arranging the interview. 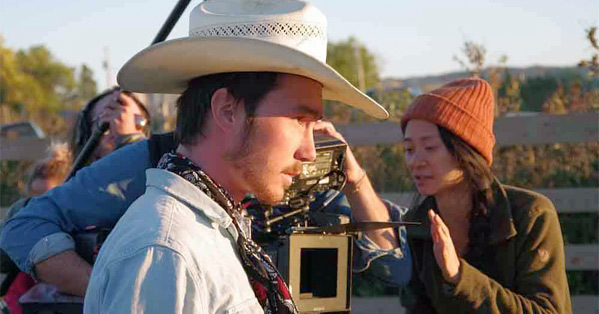 Chloe Zhao's The Rider first premiered at the Cannes Film Festival in Directors Fortnight. It has also played at the Telluride, Toronto, London, New York, and Sundance Film Festivals. Sony Classics will release Zhao's The Rider in select theaters starting April 13th - more on the official website. Read my festival review here.